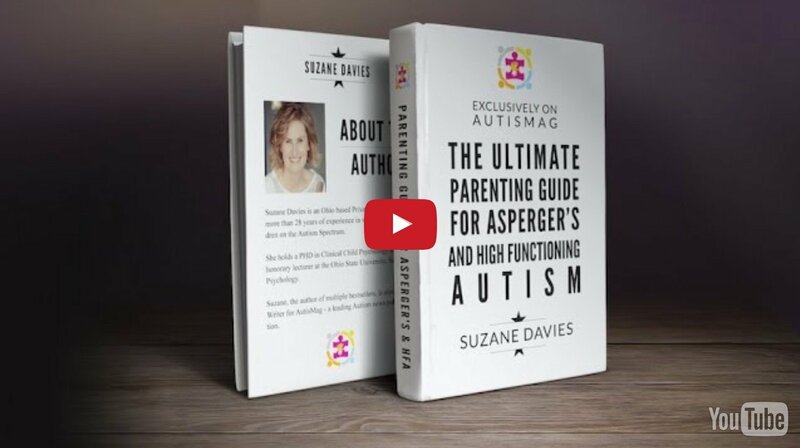 High Functioning Autism & Asperger's - How to Know your Child? No one will display all the known characteristics of autism; some individuals may exhibit only a few. 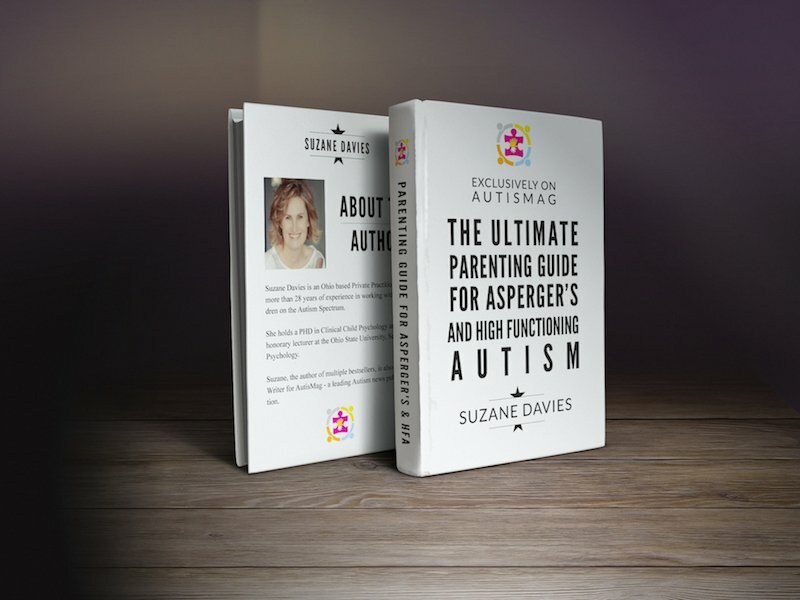 Just as no two non-autistic people, including identical twins who are absolutely alike, no two individuals with Asperger syndrome or high functioning autism behave in exactly the same way. All, however, have some difficulties interacting with other people and some odd or repetitive behaviors. The essence of Asperger’s and High Functioning Autism (also referred to as AS-HFA) is difficulty with social interactions, although the striking social impairments of more classic autism, such as extreme remoteness and persistent avoidance of others, rarely appear. People with AS-HFA lean more towards being borderline autistic. Some children don’t go out of their way to start conversations or interact with others but do respond if other people approach them. Other individuals show interest in people and enjoy their company; they may even want to join groups and make friends. However, their ability to do so successfully is limited by their difficulty knowing what to do or say in social situations. They may be awkward and unsure during interactions. They may give the impression that they are not interested in the person they are talking to because they don’t follow the “rules” of social interaction. Most of us naturally know that we should look at the person we’re talking to, smile, and nod occasionally to signify that we are paying attention. People with High Functioning Autism (or Asperger’s), however, don’t seem to appreciate these unwritten rules of social engagement. Their behavior, while out in public, may sometimes be inappropriate or embarrassing. In addition to failing to use these social niceties, they violate clear social conventions, such as keeping certain opinions to themselves or refraining from asking overly personal questions. It may indeed be true that your neighbor’s upper arms look like “fat sausages,” but this is information best kept to yourself. Pervasive Developmental Disorders (PDDs): a group of disorders characterized by delayed or abnormal development in many (“pervasive”) aspects of development: social, communication, behavior, cognition, sometimes even motor skills. This term is synonymous with autism spectrum disorders. Autism: the most common and typical of the PDDs, ranging in severity from those who are very handicapped (nonverbal, totally aloof, and highly repetitive) to those who are only mildly socially awkward, are slightly unusual in their conversational style and have special interests. High Functioning or Borderline Autism: having normal intelligence and a fairly good command of language. High Functioning Autism: The child fits the definition of autism but has normal cognitive and learning abilities. The child may initially have had difficulty acquiring language, but eventually was able to speak at a level close to what is expected for his or her age. Asperger Syndrome: The child is similar to those with high functioning autism, but has fewer symptoms and had little or no difficulty developing language at the normal age. Note: Autism spectrum disorders affect up to 0.6% of the population, and two-thirds to three-quarters of those children appear to be high-functioning. People with high-functioning autism or Asperger syndrome often appear not to understand other people’s feelings or points of view, which makes their social interactions even more difficult. Often these abilities, natural to the rest of us, are delayed or do not develop at all. Empathy usually begins emerging in infancy, when young children start to show an interest in and a concern about the feelings of others. It’s not uncommon in daycare centers to see babies break into sympathetic wails when another infant cries or to see toddlers bring a toy or an adult to a crying child in an attempt to comfort their peer. Pre-schoolers are fascinated by the moods of others and often talk about friends being angry or sad. In their pretend play, young children enact scenes in which characters are sick or upset, grappling with understanding such states and how to respond to them. In contrast, most children with Aspergers and High Functioning Autism have basic difficulty appreciating the emotions of others (and perhaps their own as well). As Seth’s mother could attest, many children don’t even notice when parents, siblings, or other children are hurt, sick, or sad, and even if they do they rarely offer comfort. An adult with AS-HFA, Clint described an interaction with a coworker who made “a strange face” after he told a joke. He didn’t think much about it until later when he saw a painting of a woman bearing the exact same facial expression. He showed the painting to his mother and asked how the woman felt. She said, “Offended, I think.” Clint has felt bad about insulting his coworker ever since, but says, “If someone is insinuating something through their face or body, without being direct, I just can’t grasp it.” He has taken to studying art in the hopes that it will help him better understand people. While they often establish warm, loving relationships and secure bonds with parents, siblings, and understanding adults, most, if not all, individuals with High Functioning Autism or Asperger’s experience difficulty relating to peers of approximately the same age. Some children are teased or bullied (read bullying and Autism), others are ignored by kids, and still others, like Lauren, seem perfectly content with no friends. A few children develop friendships that revolve around shared interests (such as video games), but rarely play anything else together, and the interaction stops when the activity ends. There is usually little of the sharing of secrets and reliance on each other for support that typically develop between friends during the middle childhood years. Many children with autism spectrum disorders report feeling lonely and socially isolated because of such peer difficulties. This can lead to low self-esteem and low self-confidence that, in a vicious cycle, perpetuate the problems. As the child loses hope of social success, he or she gives up trying to interact with others. This only increases social isolation, which may further compound the awkwardness or outright oddity of the child’s social behavior. In the most extreme cases, the cycle may lead to serious bouts of depression that require treatment. In addition to social difficulties, autism spectrum disorders usually involve communication problems. In fact, the most prominent feature of classic autism, at least in the minds of most people, is the inability to speak. What is less well understood is that even those with Asperger syndrome and high functioning autism experience some difficulties with communication. This, it turns out, is one of the most confusing parts of the diagnostic puzzle and often leads to misdiagnoses when the child is young. 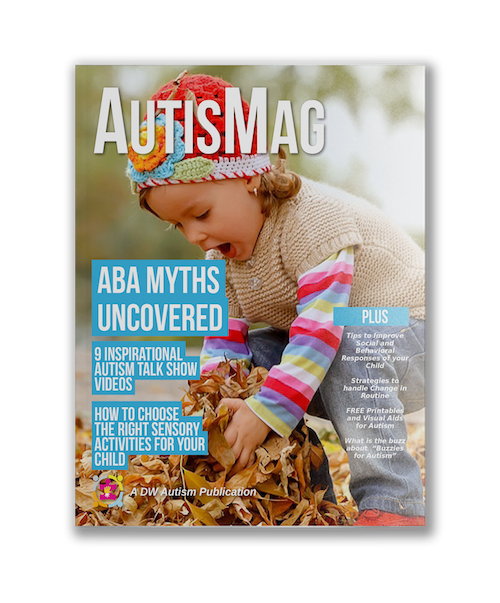 You may have had autism raised as a possibility at some point in your child’s life, only to have it “ruled out” or be told later that he or she couldn’t possibly be autistic because the child speaks so well. Indeed, it is part of the definition of Asperger syndrome that language be fluent, not only at the age the child is seen for evaluation, but even at ages 2 and 3. A smaller, but not insignificant, number of children with high functioning autism begin talking early and soon speak articulately in a manner that seems advanced. Parents may first believe their child is gifted based on his or her precocious language skills. Yet there are virtually always differences in the way language is used, particularly in social contexts, that can cause problems. The child, adolescent, or adult with AS-HFA may dominate conversations, talking on and on without giving others the chance to say anything. The pedantic or overly formal manner of speaking that a child, Joseph, uses is common in both Asperger syndrome and high-functioning autism. At age 7, Joseph begins many statements the way a professor might, saying, “Actually . . . ” or “I do believe. . . . ” He has a vast vocabulary and loves to use unusual words—the bigger the better! When asked his favorite color, Joseph pointed to a yellow balloon and said with a smile “chartreuse.” Clint defines terms that don’t need defining. He readily tells people that he is autistic, hastening to add, “Autistic is the adjective for the noun autism” as if we would not know what the word meant without this explanation. While there is nothing technically wrong with phrasing things so formally, it certainly makes Clint and Joseph stand out from their peers and often makes them the target of teasing. Joseph’s mother likens his speech patterns to someone who speaks English as a second language: other people can figure out what he is trying to say, but the way he phrases even simple statements makes it seem as if English is not his native tongue. Some children with Asperger’s or High Functioning Autism memorize things that other people say (or phrases or dialogue from videos and books) and then incorporate them into their own speech. This memorized speech is called delayed echolalia and, while idiosyncratic, does indicate that the child has a well-developed verbal memory. Sometimes the echoed phrases are used in context and make sense, as when Joseph exclaimed, “Oh no, it’s my worst nightmare!” (dialogue from a Disney movie) after spilling milk on one of his maps. Other times, the link between the phrase and the context is less clear. Seth’s mother reported that as a small child he would say, “He’s a happy man right there” whenever he put on or took off a hat. For years, she and Seth’s dad had no idea where this comment came from or what it meant. Then one day they happened to be watching an old golf video they had taped several years earlier. They were astounded to see one of the golfers make a hole-in-one and then tip his cap to the audience as the announcer said, “He’s a happy man right there.” Seth had associated this phrase with hats, and the two remained linked in his mind, although the phrase made little sense to others and didn’t help him communicate his wants or needs. Another communication problem for children with AS-HFA is their literal interpretation of what is said. As we all know, often what we say is not exactly what we mean. When his mother sarcastically commented that Seth, who had ignored her request to clean his room, “was doing a really good job,” he nodded and continued playing Nintendo. He didn’t appreciate his mother’s frustration, conveyed by her tone of voice and facial expression, or notice the mismatch between her state- ment and the context. Another boy, when I called his house and asked if his mother was home, answered “Yes” and then hung up the phone. He took my question literally, rather than understanding it as a polite but indirect way of asking to speak to his mother. Still, another common communication problem of people with Asperger’s or High Functioning Autism is how they speak. Children with these conditions may speak very loudly or, conversely, too softly to be heard well. Words may tumble out of their mouths at breakneck speed or crawl out as if on a recording played at the wrong speed. Or their speech may have an unusual rhythm, with emphasis placed on the wrong words in sentences, a rising conclusion to a statement, making it sound like a question, or little inflection, giving their voice a flat tone. There may be fewer of the natural pauses we usually make in conversation, resulting in run-on speech. Or they may take breaths at unusual points during speaking, such as in the middle of a word or phrase. Often children with AS-HFA are unaware of how different from others they sound. The third area in which people with high-functioning autism spectrum disorders differ is behavior. You will probably have noticed that your child’s range of activities is relatively focused and that he or she can do the same thing over and over again without getting bored. Among those with Asperger syndrome and high functioning autism, these traits usually show up as very specific interests that verge on obsessions. These kids have the favorite pastimes that many children have – computers, video games, dinosaurs, astronomy – but pursue them to the exclusion of almost everything else. 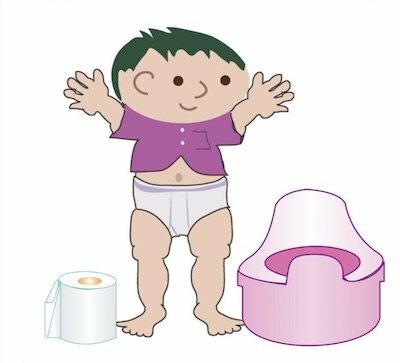 Many parents report that their child will stay at the computer for hours, not breaking to go to the toilet, to eat, or to sleep unless pressured, and even then with much resistance. The intensity of the child’s interests seems odd to others and may contribute to the child’s social isolation. So does the child’s choice of interests. 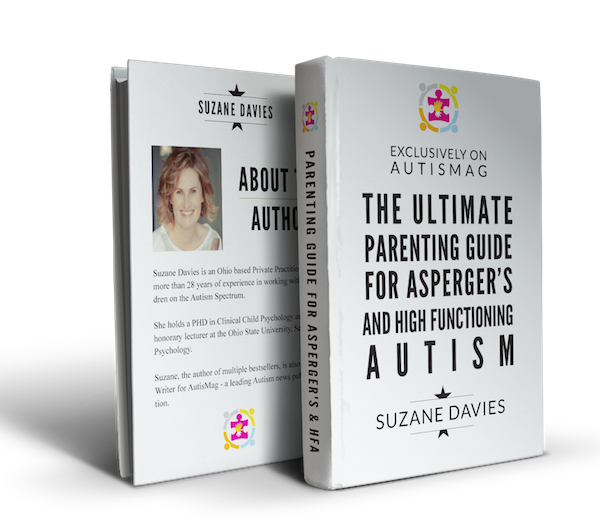 Few “typical” children (or adults) appreciate the intricacies of the stock market, the seven deadly sins, sprinkler systems, or botanical classification, but these are the types of things that children with Asperger’s or High Functioning Autism tend to favor. Their interests often revolve around topics about which the child can amass a great deal of facts and information. Sometimes these children also form unusual collections. One teenage girl with high functioning autism saved the little sticker from every banana and apple she had ever eaten, keeping them in a treasured scrapbook that she carried with her everywhere. One young man with high functioning autism we saw in our research study for many years was very interested in vacuum cleaners. He knew everything there was to know about vacuums: the cost, color, repair record, and number and kinds of attachments for every brand on the market. He correctly identified my (S.O.) home vacuum as “tan with chocolate-brown trim” with two attachments, one hose-like and one with a brush. Its repair record was not good, he explained to me, since most of the internal parts were made of plastic rather than metal (in fact, it did not seem to work too well!). But when asked for advice about replacing it with a better one, the boy became agitated and eventually advised me to purchase a Royal, justifying this choice by explaining that it has a blue bag. Like many children with AS-HFA, he seemed unable to distinguish important details from irrelevant ones and to weigh the multiple details he had memorized. If your child has AS-HFA, you may notice that he or she has the same problem with thinking in general, demonstrating an excellent memory for facts but more difficulty understanding abstract concepts and using common sense. If you give your child a rule, he or she may have trouble generalizing it to a slightly different situation. Your child may want to solve problems the exact same way each time and may get very frustrated when you try to help him or her see new solutions or ways of doing things. 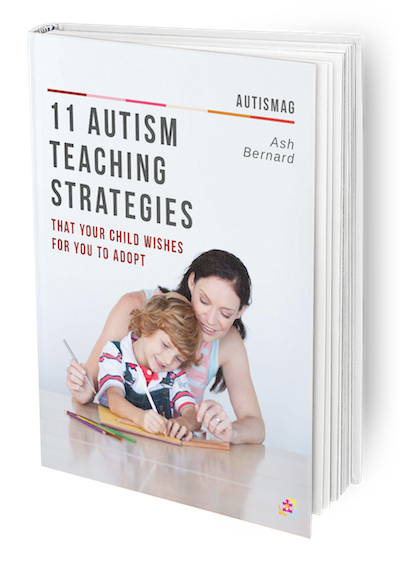 The difficulty with seeing relationships among pieces of information, identifying central patterns or themes, and figuring out what things mean can make learning challenging for children with high functioning Autism or Asperger’s. There are special gifts, talents, and inclinations that come along with the challenges and make your child a very special, unique, and interesting person. Many children and teens with these conditions have excellent memories. They remember details of family trips, routes around their city, or spelling lists effortlessly. Many also excel in reading. Like Joseph, they may teach themselves to read at an early age and later be able to read words aloud and spell well above grade level. Others are very advanced in visual – spatial skills, putting together complex jigsaw puzzles, reading maps, or working electronic equipment far better than their peers. If you can find some practical way to apply your child’s special interests to the “real world,” then his or her incredible abilities to focus, memorize, and spend long hours immersed in a topic become invaluable strengths. You may have heard of Dr. Temple Grandin, a professor of animal science at Colorado State University, who has high functioning autism. She combined a strong interest in animals with her visual-spatial strengths to revolutionize the design of animal slaughter-houses, making them more humane as well as more efficient. She has become an international expert on the topic, giving lectures around the world. 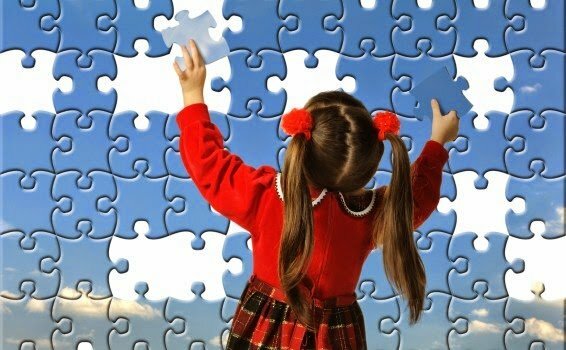 For careers that rely on detail orientation, such as library administration, engineering, or computer science, having Asperger syndrome or high functioning autism might be an asset! Your child thinks, views the world, processes information, and has a personality style that is different but not inferior. Great strengths come with the challenges. Our challenge is to harness those strengths and use them to overcome the hurdles that stand in the way.